Next month December mechanical range Mazda 3 It will be completed with the arrival of 1.5 Diesel engine SkyActiv-D four-cylinder 105 hp power. In essence, this engine is the same as initially mounted on the Mazda 2 and CX-3. For him Mazda 3 1.5 SkyActiv-D 105 hp it declares a maximum torque of 27.53 mkg available from 1,600 rpm. Mated to a manual gearbox 6 speed for the new Mazda 3 1.5 SkyActiv-D a low level of CO2 emissions (only 99 g / km) is announced. Optionally and depending on the type of body (5-door or 4-door SportSedan), Will also be available the automatic SKYACTIV-Drive 6-speed. Performance features for Mazda 3 1.5 SkyActiv-D Announce acceleration 0 to 100 km / h in 11 seconds and a maximum speed of 187 km / h.
Like the engine Diesel SkyActiv-D 2.2 150 CV, in the case of this engine 1.5 SkyActiv-D Mazda 3 also it has an exceptionally low compression ratio (14.8: 1), which allows to establish, according Mazda "new standards for efficiency and performance". On the other hand, the engine Diesel 1.5 SkyActiv-D Mazda 3 also mounted solenoid injectors high dispersion, for minimizing losses of cooling which in turn facilitates providing a more optimum injection. With all this, the combustion efficiency improves while levels of engine refinement are also better. Remember that the Mazda 3 It includes other options gasoline equally interesting. SKYACTIV-G 1.5 100 hp, SKYACTIV-G 2.0 120 hp and SKYACTIV-G 2.0 165 hp: In this case, the less the more powerful the following engines are available. 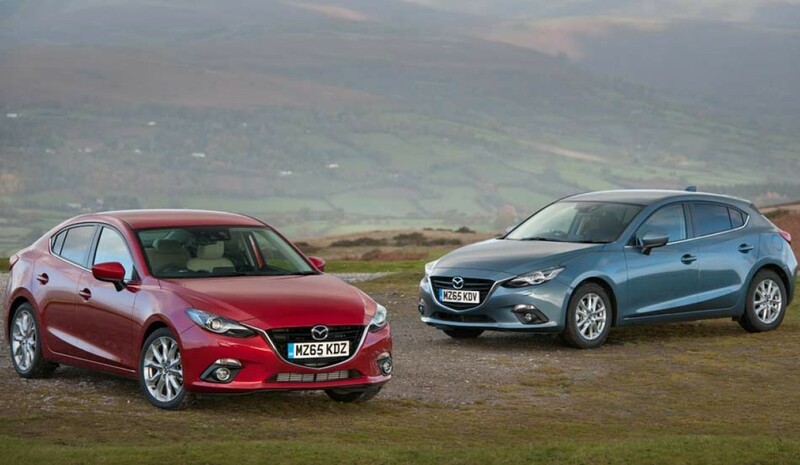 The first country that will be available again Mazda 3 1.5 SkyActiv-D 105 hp It will be the UK, where will go on sale for 18,895 pounds (26,000 euros more at current exchange rates). In all likelihood, this diesel engine small displacement can also be purchased on the Spanish market. Pick-up og biler er vurdert: hvordan det påvirker deg?